Beaulieu Plumbing and Mechanical Inc. wants its business and its people to reach their full potential! 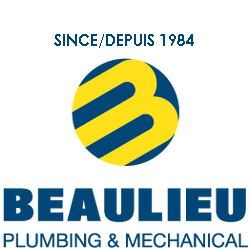 At Beaulieu Plumbing and Mechanical Inc., our mission is to offer a high-end product, supported by high quality service that is assured both by its experienced personnel and by cutting-edge techniques and tools. Our objective as a business is a clear response to our clients’ expectations, while positioning ourselves as leaders on the Maritimes’ market. Along with our business mission, BPM entrusts with a specific mission the entire team that support its success. Thanks to our employees’ expertise, we are able to provide top notch products coupled with excellent customer service, all of which contributes to making our company trustworthy. Pride… proud of its people and its work! Appreciation… recognize the contribution and efforts of all!